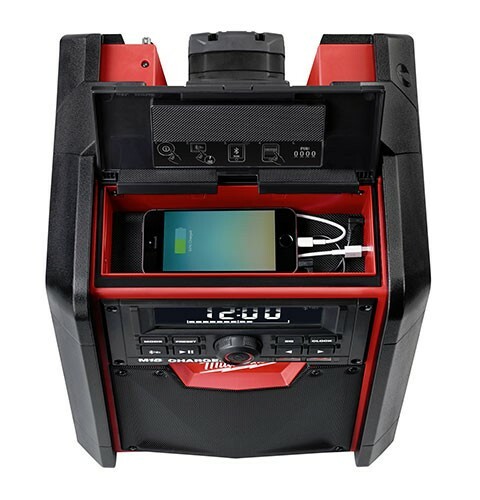 So what does the M18 Jobsite Radio/Charger have that the others don’t? Well, it is not just one thing but a combination of a few things. Being able to run your radio off of AC power is great, but sometimes it is nice to go cordless—this radio can do that. After the battery starts to get low it is nice to be able to plug the radio in and charge the battery—this radio can do that. How about being able to plug in your MP3 player and charge it at the same time, even off of battery power? Yup, it can do that. What if you don’t feel comfortable leaving your MP3 player or phone plugged into it all day? You can turn to Bluetooth and keep your music device safe in your pocket and remain connected up to 100-feet away. And the list of features goes on. 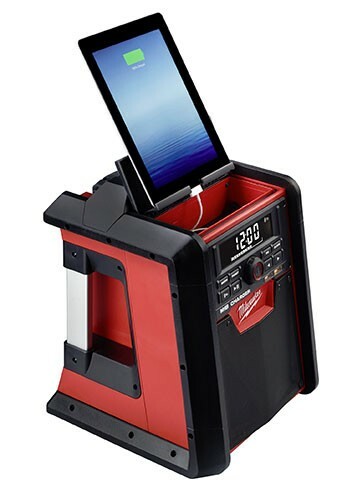 Keeping your small devices clean and safe from dust, the 2792-20 has a built-in weather-sealed USB-powered compartment that doubles as a device dock when opened. 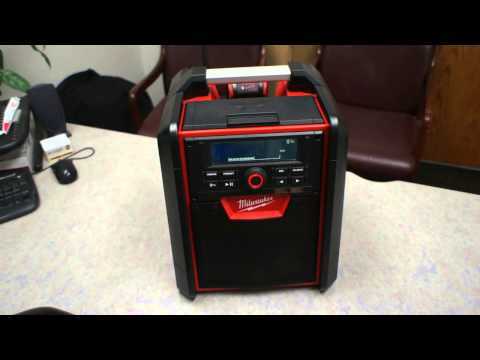 It also has an AM/FM Tuner with a digital processor, customizable equalizer, and speakers that point upwards so you get the sound and not the floor. Protecting the radio itself is a reinforced roll cage with extruded aluminum handles. For convenience, they also included a bottle opener. Look for the 2792-20 M18 Radio/Charger to land on store shelves February 2014. 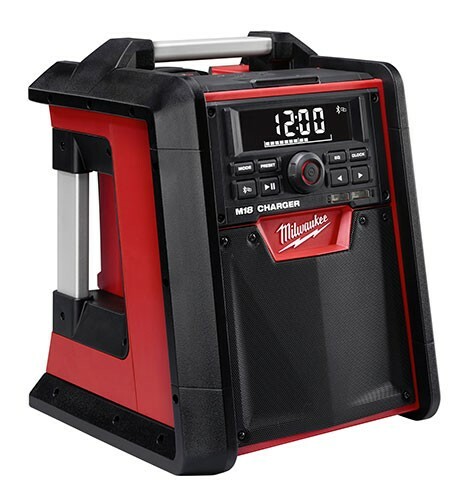 CopTool has a quick video preview of the Milwaukee M18 Bluetooth Radio/Charger (below). http://www.coptool.com - Milwaukee finally can charge their M18 batteries with their jobsite radio! New custom 3.0 Amp charging eliminates AM/FM disrupting speaker buzz common in these combo radios. The Milwaukee also features Bluetooth that can work up to 100' away. USB power can charge smart phones or tables with 2.1 Amp power that works AC 110v plugged in or DC powered off the M18 batteries. A large storage compartment can store larger smart phones and lid provides a nice resting place for multiple smart phones or a tablet. Of course it wouldn't be a Milwaukee Radio without a built in bottle opener.